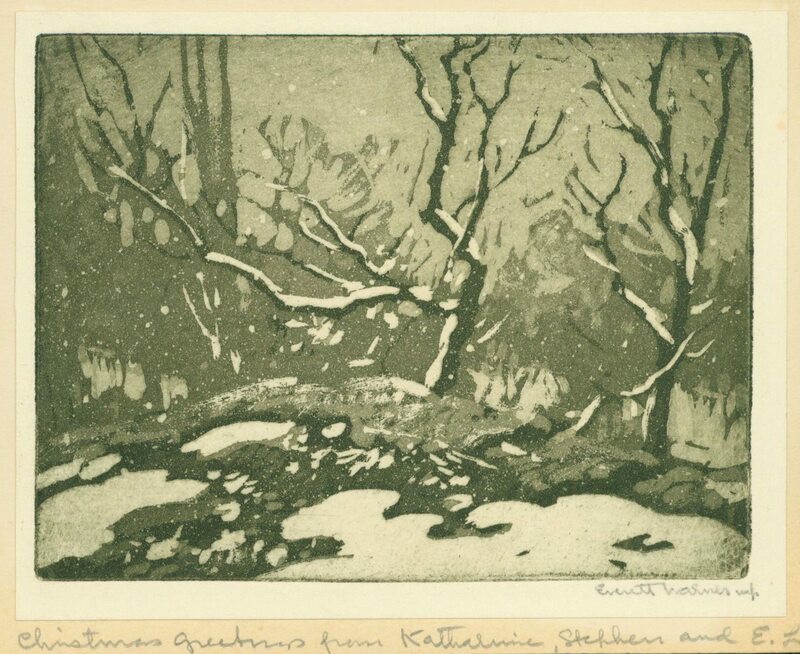 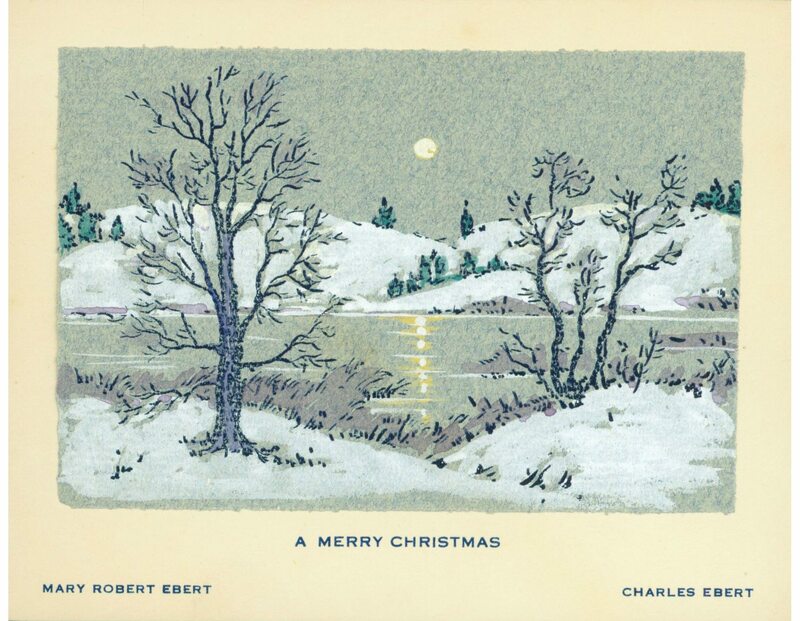 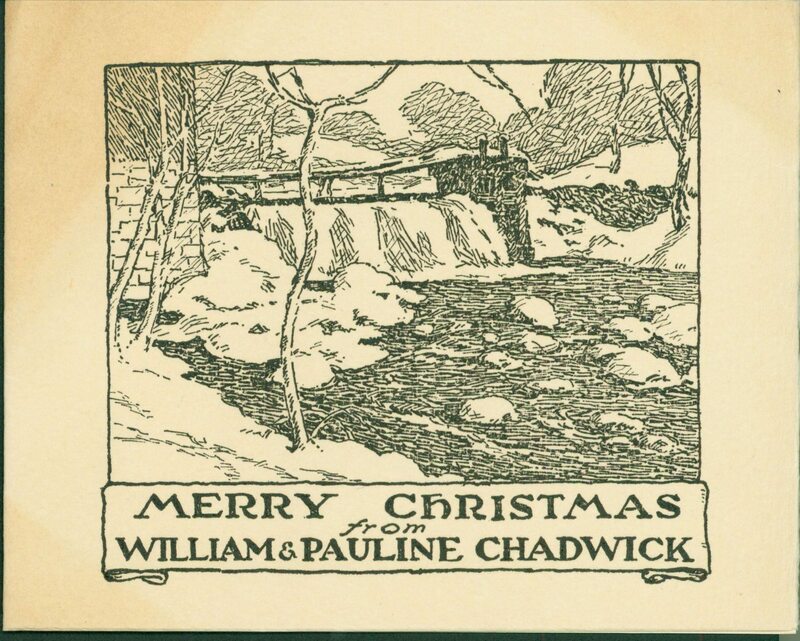 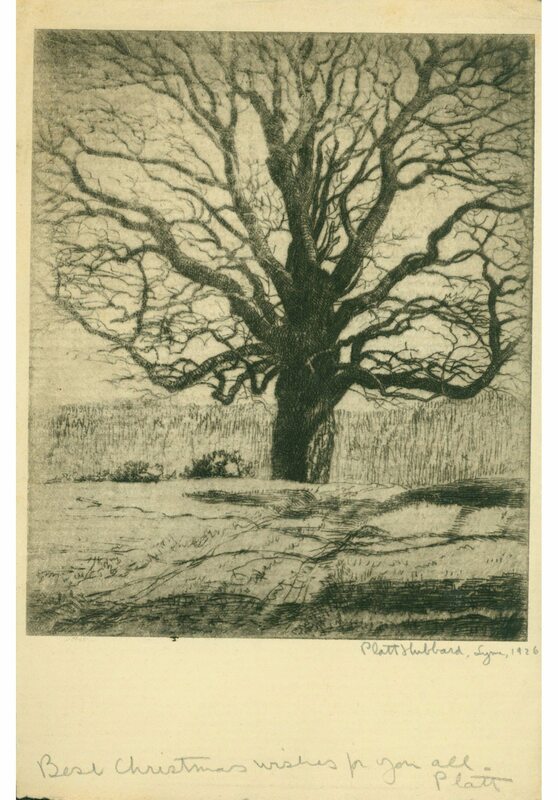 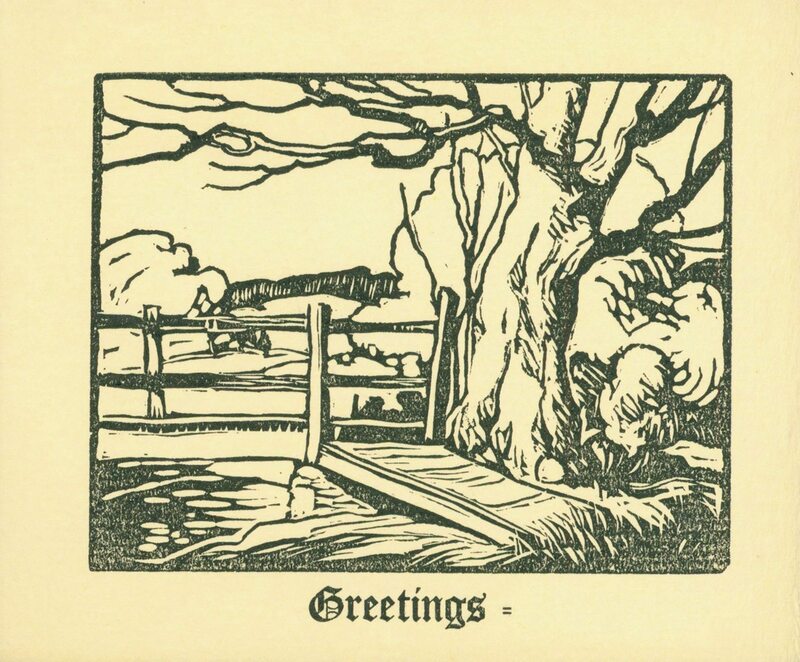 When local artists exchanged holiday cards, they often sent original etchings or woodblock prints of the surrounding landscape, or lithographic reproductions of their paintings. 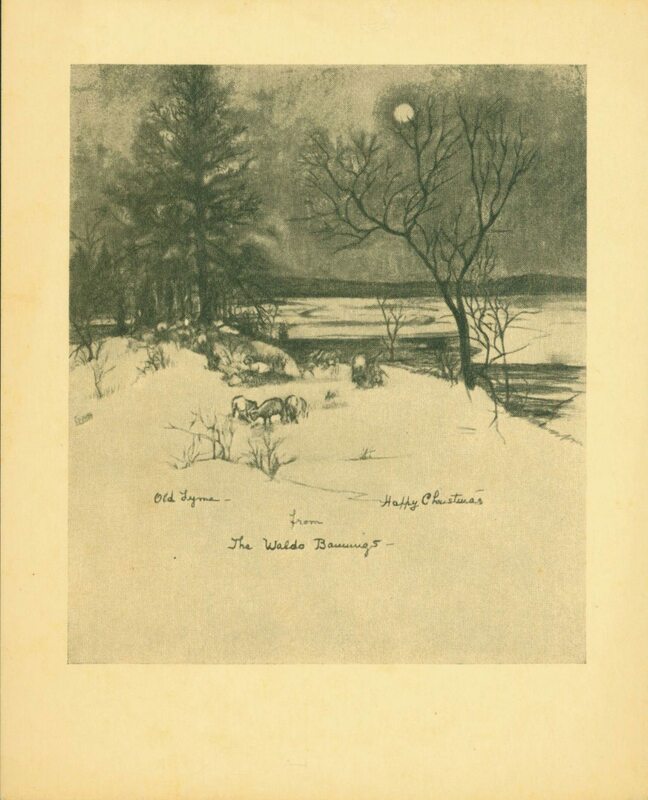 Their images of trees, fields, dams, snowy woods, and frozen ponds glinting in the moonlight capture the special beauty of Old Lyme in winter while also conveying warm seasonal greetings. 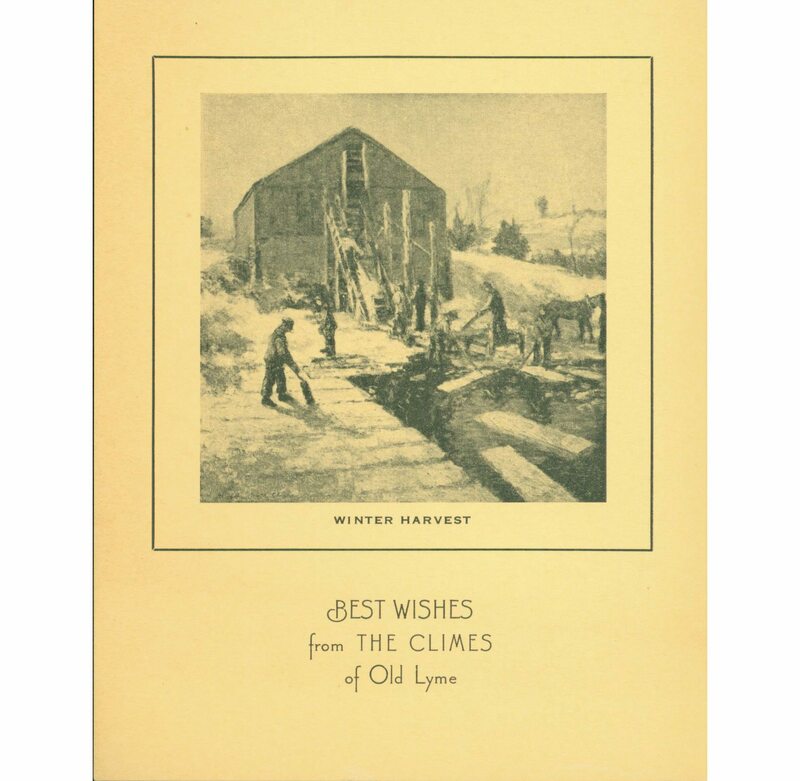 One year Winfield Scott Clime used his painting of a working ice house on the Tooker farm to deliver holiday wishes.